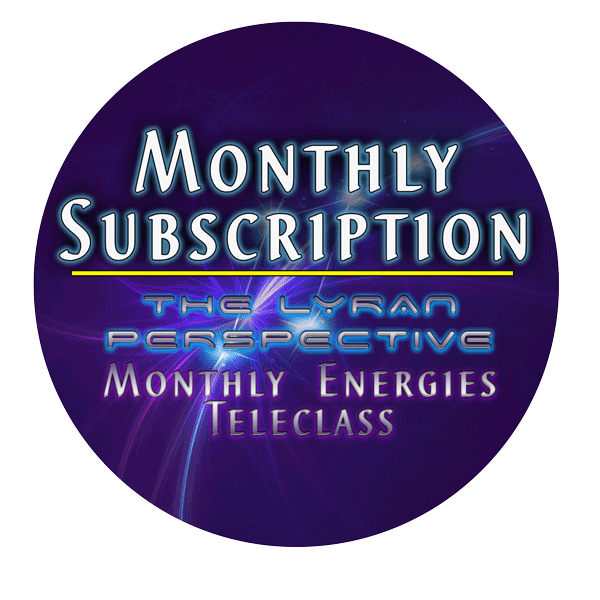 This Monthly Subscription includes access to a monthly channeling and Light Language healing with Areon, the Lyran Council of Time. It also includes the Monthly Energies Teleclass – profound enhancement for the current energies that Lightworkers are dealing with. This will offer you amazing support and progress as you change your life into a creative flow that is more interactive with the subtle realms integrating with the human experience. This changes your life and offers a path of understanding to those around you, just by your example. These are powerful times that are calling you to your empowerment. These classes will offer speed and ease to your progress. You can listen live or to the replay, which is available for one month after each call. With this subscription, you will automatically be charged each month for access. No refunds will be given, but you can cancel your subscription at any time.